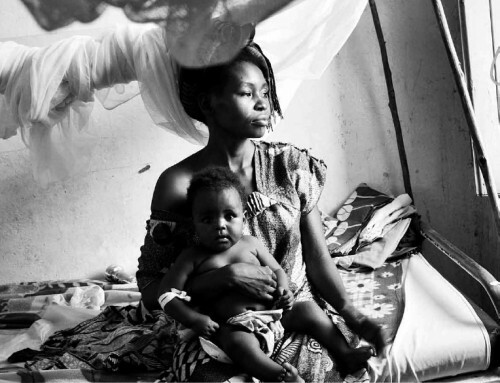 Sleeping sickness kills over 50,000 people in Sub-Saharan African every year. Image courtesy of Doctors Without Borders. “It was entirely serendipitous,” chuckled Professor Christian Tschudi of the Yale School of Public Health, as he described a discovery that may prevent African sleeping sickness from plaguing Sub-Saharan Africa. This disease, also known as trypanosomiasis, kills more than 50,000 people every year and haunts victims with insomnia and mood changes. After a century of stagnant research methods, Tschudi’s group, for the first time in history, replicated the infectious process of the disease in a laboratory setting. Their “serendipitous” discovery that overexpression of a single RNA-binding protein can lead to infection has been met with applause by researchers from all over the world. With the groundbreaking advance, they hope to devise intervention methods in the near future. The fatal sleeping sickness is caused by the parasite Trypanosoma brucei, which oscillates between the insect vector — in this situation, the tsetse fly — and the mammalian victim, which can be human or animal. As a tsetse fly feeds on the blood of an infected mammal, T. brucei transfers from the mammal to the bloodstream of the insect. Inside the vector, the parasite remains dormant for nearly 40 days, until it finally spreads to the salivary glands of the tsetse fly. 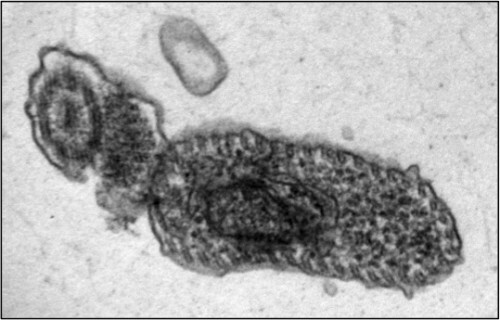 T. brucei then regains infectivity, and is injected into the bloodstreams of mammals that the fly bites. 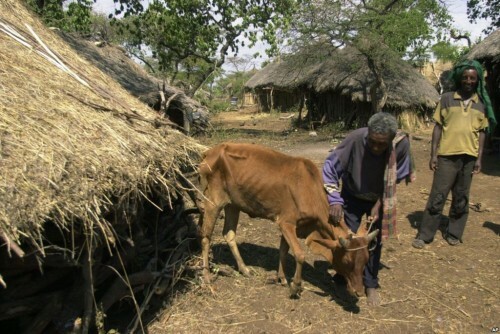 Nagana, the sleeping sickness for livestock, aggravates economic hardships in Sub-Saharan Africa. Image courtesy of Voice of America. Yet even if infection were to be diagnosed early enough for treatment, the drugs that exist are few and far between. Moreover, most of those drugs are highly toxic, and sometimes deadly. One such example of a treatment for sleeping sickness is melarsoprol, a derivative of arsenic, which kills up to 10 percent of the patients treated with it. 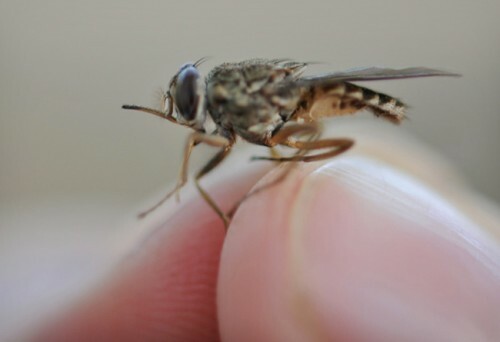 The tsetse fly can kill people and livestock in Africa by infecting them with sleeping sickness. Image courtesy of Geoffrey Attardo. Little progress has been made in recent years, and effective treatment of African sleeping sickness still poses a great challenge. Most of the drugs used today were discovered before the 1950s, and little hope remains for the discovery of a better treatment. However, intervention may now be possible, thanks to a group of Yale researchers led by Tschudi. All previous studies of the infectious process have been conducted on the insect vector itself: dissecting the body of the tsetse fly and thereby directly examining the organs of T. brucei. Carried out for nearly a hundred years, such studies allow scientists to study what changes occur during the infectious process, but not necessarily how they occur. In particular, the challenge remains in obtaining quantities of T. brucei from each of the various developmental stages in the insect vector’s life. This difficulty hinders researchers from performing mechanistic studies on the sequence of events that leads to infectivity. The replication of the infectious process in laboratory settings is the first step in answering that million-dollar question of how the infection occurs. Dissecting the tsetse fly has resulted in groundbreaking discoveries. Image courtesy of Cureus Inc.
Tschudi and his research group have made headway on this front, by successfully replicating the infectious process of the T. brucei in laboratory settings. He began at the same step as all other researchers, by examining the body of the infected tsetse fly. 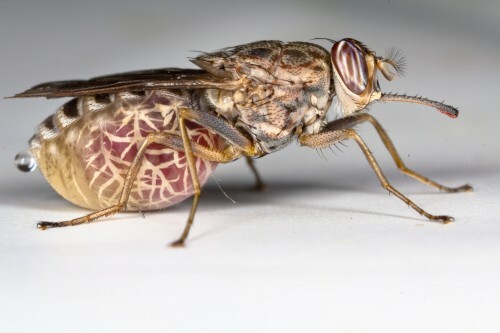 One of Tschudi’s colleagues, Serap Aksoy, possesses one of the two tsetse fly colonies in the United States, and the research group infected and dissected a sample of these flies to determine the biological progression of the infection. Upon realizing that RBP6, an RNA-binding protein, increased by a factor of 13 during the middle stage of the infectious process, Tschudi and his colleagues decided to replicate this observation in vitro. Their initial goal was hardly to replicate the infectious process, but simply to study the binding protein. They induced overexpression of RBP6 to determine which type of RNA is bound by the protein. Ten days later, they came upon unexpected results: the cultured, non-infectious cells had become infectious cells. “When I told my partner George Cross at Rockefeller University, he was speechless. Then he finally said, ‘This is the biggest thing that has happened in the last 20 years,’” Tschudi recalled. He went on to explain that the fact “that one single protein can trigger these events is close to unheard of, not just in the trypanosome field, but just science in general.” Considering that the trypanosome genome encodes around 10,000 proteins involved in the infectious process, the importance of the single protein RBP6 is truly striking. T. brucei in its infectious state. Image courtesy of Christian Tschudi. The replication of the infection process through the overexpression of RBP6 shed a bit of light on the stage of the parasite’s life cycle that Tschudi calls the “heart of darkness.” He explained that this stage transpires as a domino effect with many potential points of intervention. 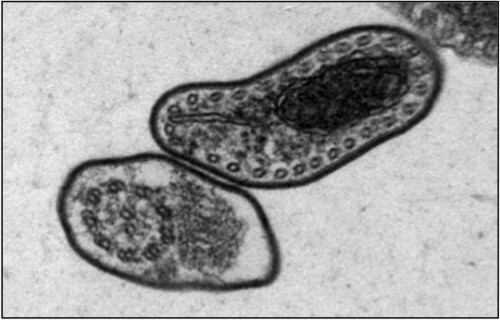 In the ten days between the overexpression and the infection, T. brucei undergoes a variety of complicated transformations including a change in physical shape and a silencing of previously active mitochondria. To understand the how of the infectious process — how these transformations are related, and how they ultimately lead to infection — each domino in the chain must be studied individually. Tschudi’s group is in search for a more effective target point of intervention than the overexpression of RBP6. He believes that although the overexpression triggers a sequence of events that certainly lead to infection, the RBP6 protein is not directly involved in the infection. Looking forward, Tschudi hopes to discover what the overexpression of RBP6 subsequently triggers. “What happens after 24 hours? What changes in the cell? We try to look at everything globally, analyzing around 5,000 of the 10,000 proteins that technology allows for,” he explained. T. brucei in its non-infectious state. Image courtesy of Christian Tschudi. Hopefully, Tschudi’s discovery will help alleviate some of the negative impacts that the sleeping sickness has wrought. The death of human beings, at around 50,000 per year, is only a part of the problem caused by African sleeping sickness. Nagana, the deadly livestock version of the sleeping sickness, actually has an enormous economic impact on the Sub-Saharan countries. Tschudi predicts that one day, reduced cases of nagana will help the economic development of the impoverished Sub-Saharan African region. Finding the right domino to remove from the chain of infection would signify a victory not only for individuals infected with the disease, but also for fighting the poverty it perpetuates in affected regions. 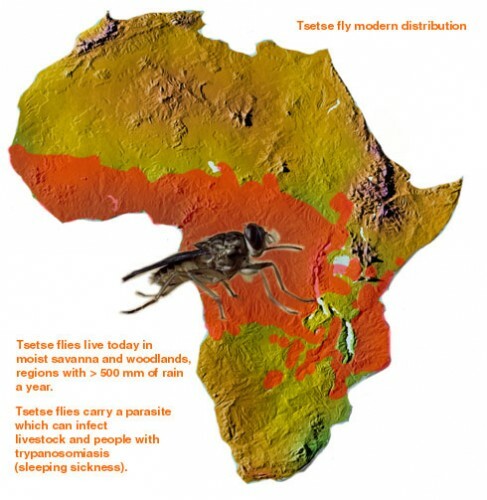 Tsetse flies live in 36 Sub-Saharan African countries. Image courtesy of Indiana University. About the author: Stephany Seung Yeon Rhee is a freshman in Saybrook College and an Electrical Engineering and Computer Science major. She is the Multimedia Editor for the Yale Scientific Magazine. Acknowledgements: The author would like to thank Professor Christian Tschudi for his time and enthusiasm about his discovery.